Buy Hope's relief cream at discount prices from Pharmacy Discounter. Click here to Buy Hope's Relief Cream now. Hope's Relief Cream is an all-natural cream that was created by Australian Naturopath Jacqueline Hope, because Jacqueline understood the need for a natural effective moisturising alternative for relieving and reducing the symptoms of dry, flaky, scaly, itchy skin. Hope’s Relief Cream is a fresh, cooling and soothing cream, as it relieves itchiness and assists with repairing damaged skin. Hope’s relief Crème has no petrochemicals or other toxic ingredients to be absorbed through the skin, which means that it is suitable for use on babies, children and adults for extended periods of time. Purchase Hope's relief creme at discount prices from Pharmacy Discounter. Click here to Purchase Hope's Relief Creme now. Continuous positive feedback has proven Hopes Relief cream to be extremely effective inhelping to heal all types of dry, flaky, itchy skin. However, many happy customers asked if Hope's can also make a natural, therapeutic treatment for the scalp. In response to this demand Hope's have developed a shampoo that is gentle, therapeutic and natural. Hopes Relief Herbal Shampoo for sensitive skin, dry, flaky, itchy skin and dandruff is unscented and sulfate free. The formulation is based on the same active ingredients as in the highly successful Hope's Relief cream. Organic herbal extracts, vitamins and Manuka Honey are combined with the gentlest cleansers to relieve itchy, flaky scalp conditions. To complement the shampoo, they offer a natural, gentle conditioner for sensitive skin. Hopes Relief Herbal Conditioner is also made from the purest, natural ingredients, including organic, herbal extracts, vitamins and Manuka Honey, plus the gentlest conditioners to protect and soothe your scalp, giving your hair a healthy shine, body and manageability. Both the shampoo and conditioner are available in 250ml bottles and can be purchased from our discount online store. 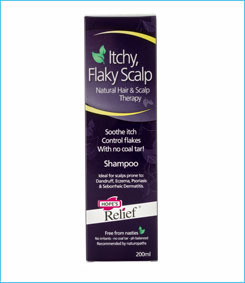 Buy Hope's relief shampoo at discount prices from Pharmacy Discounter. Click here to Buy Hope's Relief Shampoo now. To complement the Hope's Herbal Relief shampoo, Hope's offer a natural, gentle conditioner for sensitive skin. Hopes Relief Herbal Conditioner is also made from the purest, natural ingredients, including organic, herbal extracts, vitamins and Manuka Honey, plus the gentlest conditioners to protect and soothe your scalp, giving your hair a healthy shine, body and manageability. 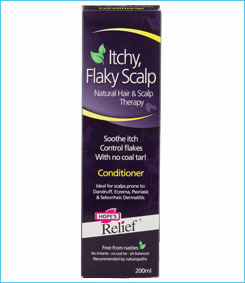 Buy Hope's relief conditioner at discount prices from Pharmacy Discounter. Click here to Buy Hope's Relief Conditioner now.